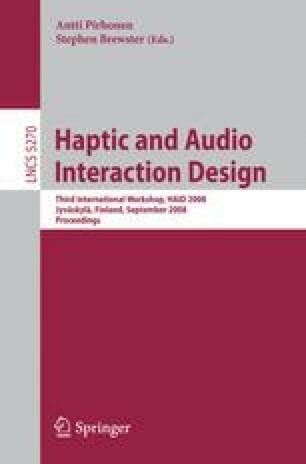 Audio and haptics as interaction modalities share properties, which make them highly appropriate to be handled within a single conceptual framework. This paper outlines such framework, gaining ingredients from the literature concerning cross-modal integration and embodied cognition. The resulting framework is bound up with a concept of physical embodiment, which has been introduced within several scientific disciplines to reveal the role of bodily experience and the corresponding mental imagery as the core of meaning-creation. In addition to theoretical discussion, the contribution of the proposed approach in design is outlined.